It’s been discovered that only five Amiibo figures can be scanned into Hyrule Warriors a day, thanks to Twitter user Jose Otero. It was earlier revealed that all Amiibo figures would be compatible with Hyrule Warriors, and scanning each figure once a day would earn bonuses such as a three star or lower rated weapon, a rupee bonus, or a crafting weapon bonus. Although 29 Amiibo figures will be available for purchase once Wave 3 is released, only five Amiibo can be scanned into a copy of Hyrule Warriors before it is locked until the following day. 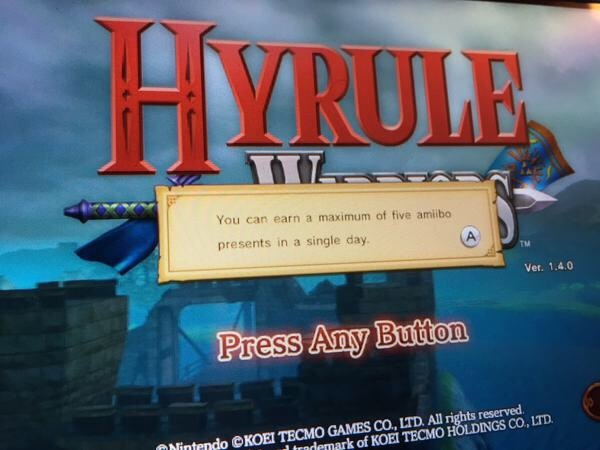 Bad news for those of you who had hoped to rack up twenty nine Amiibo presents a day in your copy of Hyrule Warriors. This was a good decision by Nintendo though, as it spreads out the gift receiving process. So in order for players to get all the supplies or weapons they hope to unlock, they’ll have to revisit the game on following days. But this may also bother some players who’d hoped that purchasing more Amiibo would give them the upper hand in Hyrule Warriors, and turn them off from buying more Amiibo and continuing play in Hyrule Warriors. Does it bother you that only five presents can be unlocked in Hyrule Warriors a day? Do you think it was the right move for Nintendo? 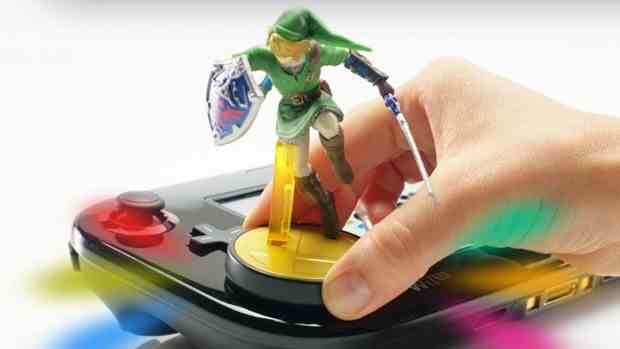 Will this stop you from buying more Amiibo, or does the promise of their being useful in future games keep the appeal alive? Let your voice be heard in the comments!